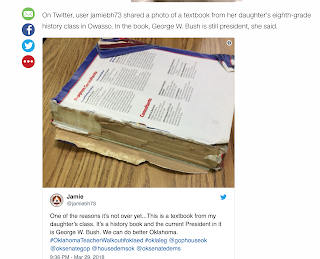 Gary Richardson, GOP Candidate for Oklahoma governor, called into question the circumstances of the photo of a tattered textbook from an Owasso, OK middle school which was reported nationally by CNN, CBS, and other news outlets. 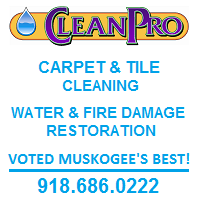 "Owasso Public Schools passed a $57 million bond issue last October," said Richardson. 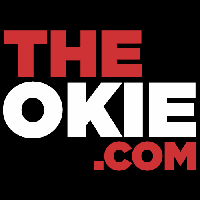 "In the bond package was $2 million for textbooks and $4.7 million to expand the administration office that houses the superintendent and other administrators. If $2 million wasn't enough to replace the textbooks, why was expanding the administrators' offices a bigger priority?" 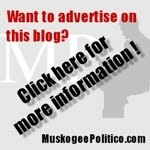 Richardson continued, "It's clear that our schools need more funding and the $6,000 teacher raise passed two weeks ago was long past due. 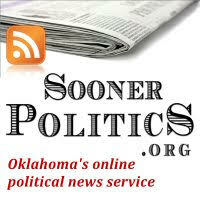 But the teacher's union, OEA, keeps demanding additional tax increases because textbooks are 20 to 30 years old." "It seems there are bigger issues than just lack of funds as is apparent with the funding choices that the Owasso administrators made with this last bond issue," said Richardson. 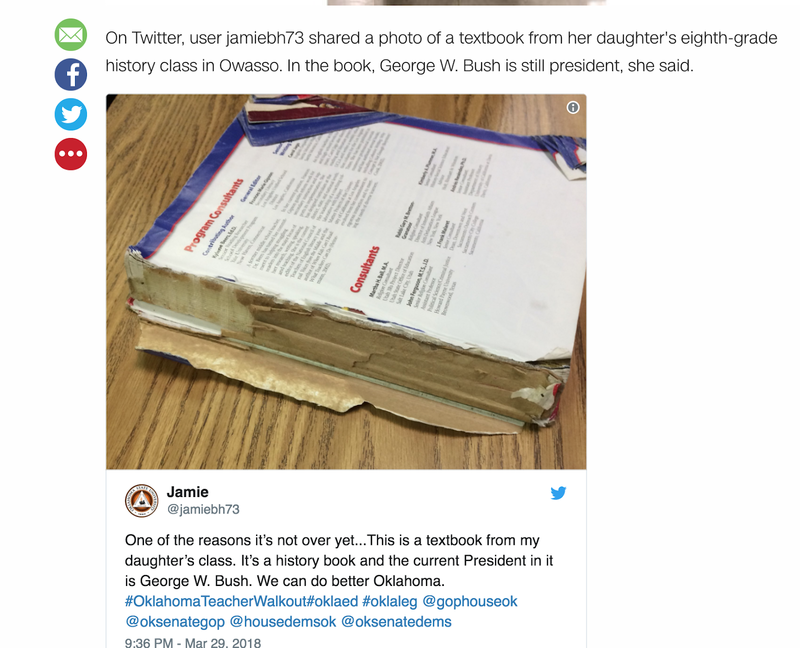 "Because I would imagine every teacher, parent, and student would say textbooks that aren't falling apart are definitely a higher priority than administrators getting a bigger office." 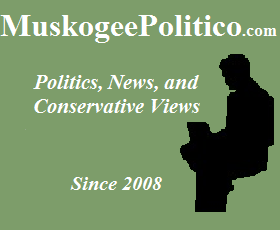 "I think teachers and parents need to look closely at their schools' past bond issues and find out where their administrators' priority on textbook funding is," said Richardson. "I'm not suggesting otherwise, but it would be a shame if this is going on elsewhere."